Intended for use only by physicians. 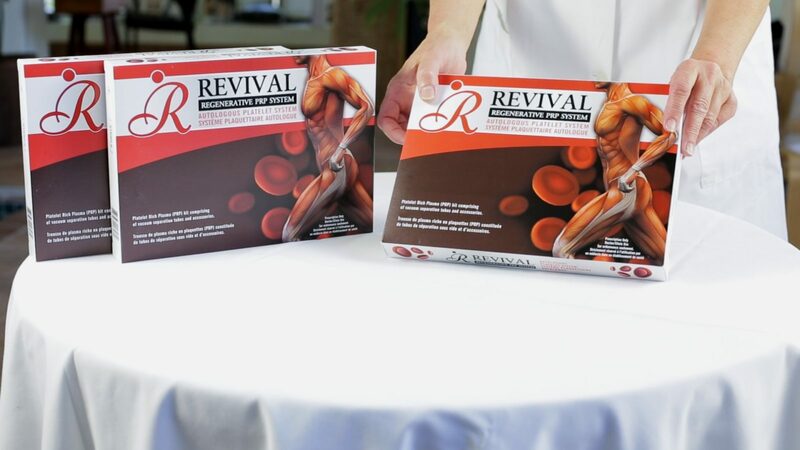 REVIVAL PRP® is a class II medical device/PRP kit approved by Health Canada for the separation and collection of blood from plasma. Osteoarthritis (OA) is often called the “wear and tear” of joints. This joint disease is the most common form of arthritis, mostly affecting cartilage. Cartilage is the cushion between the joints, which allows bones to smoothly glide over each other, while also absorbing shock from everyday movements such as walking or jogging. With osteoarthritis, this cartilage breaks down, causing friction between the bones. This reduces motion of the joint, causing immense pain and swelling. Over a long period, these unprotected bones may be susceptible to abnormal growth and breakage, causing further damage. Synovial fluid is responsible for the lubrication and shock-absorbing actions inside joints. It acts as a cushion between the bones. The degeneration of the synovial fluid (due to age or injuries) plays an important role in osteoarthritic progression. 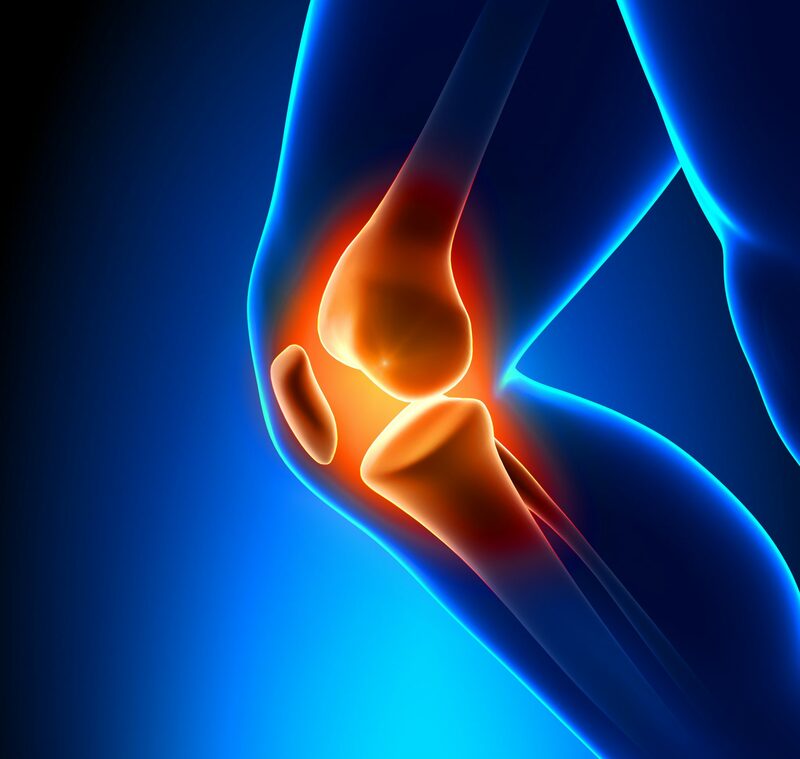 Osteoarthritis is most common in the knees, hips, shoulders, hands, fingers, and the spine. Although osteoarthritis can occur in people of all ages, it is most apparent in the elderly population. Risk factors include previous joint injuries, genetics (familial history), overuse of joints, obesity, and weak muscles. 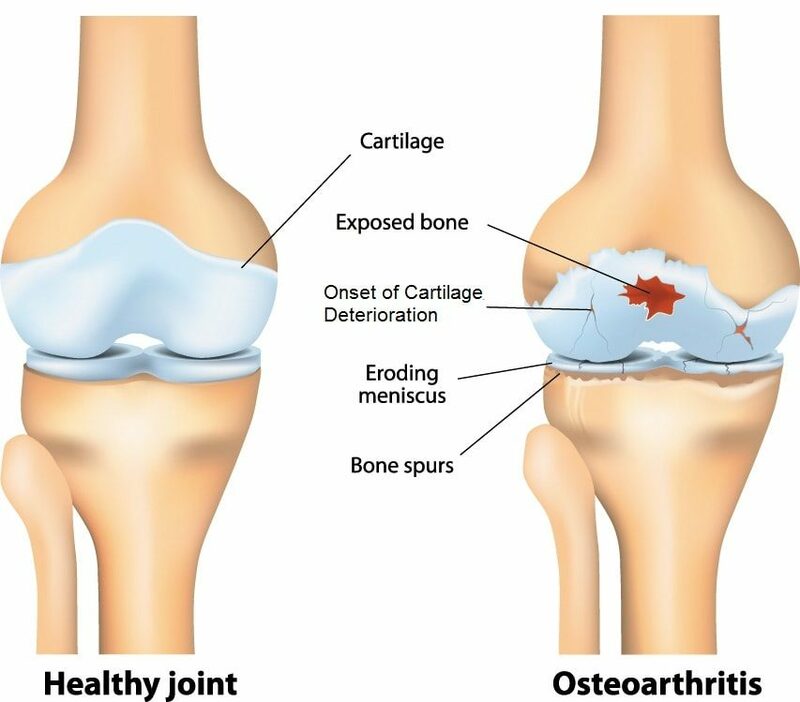 Osteoarthritis can occur at any joint. Early warnings signs of joint degeneration can include joint stiffness and swelling. Although no single test can fully diagnose osteoarthritis, most physicians rely on medical history and conduct x-rays and physical checkups. If you are interested in determining the condition of your joints, please click here to take our self-assessment test(s). These series of questions will provide more information and can serve as a monitoring tool of your condition. Our tests include knee (Lequesne, WOMAC), hip (Lequesne, WOMAC), and shoulder (SPADI). To date, there are no cures for osteoarthritis. However, certain measures can be taken to improve osteoarthritic conditions, for example, regular exercises, weight management, pain-relief medications, joint therapies and surgery. Since there is no known cure for osteoarthritis, the treatment strategy is focused on reducing pain, maintaining and/or improving joint mobility while limiting functional impairment. Healthy changes in diet for overweight patients to reduce weight and thus relief of stress on the joints Physical therapy: low-impact exercises to help reduce weight and improve joint function (strengthening of the quadriceps reduces strain on the knee). Pain medications such as acetaminophen/paracetamol/Tylenol and non-steroidal anti-inflammatory drugs (NSAIDs) or weak opiate analgesics and injections of corticosteroids in the event of a pain flare-up or inflammation. Administration of Hyaluronic Acid into the intra-articular space plays an important role in osteoarthritis therapies. It restores the physiological characteristics of the synovial fluid, reduces pain and inflammation, and provides lubrication, while increasing the movement of joints. The effects of Hyaluronic Acid injections generally last for more than six months. Osteoarthritis treatments should also address the structural damages of cartilage and provide “structure-modifying effects”. A nascent field called regenerative medicine is focusing on the use of stem cells, growth factors and synthetic tissues to provide, repair, replace or restore structural and functional damage caused by ageing and/or disease. The key aspect of regenerative medicine is the use of elements from our own body (autologous) to harness its own healing and regenerative power. Among these treatments one stands over others due to its proved safety and efficacy: the use of Platelet-Rich Plasma or PRP. PRP therapy’s natural healing process intensifies the body’s efforts by delivering a higher concentration of platelets. Tendinopathies are chronic tendon injuries generally accompanied by inflammation. They usually occur when repetitive motion, stress or repeat injuries irritate a tendon over time. The result is pain and swelling of the tendons around a joint such as the ankle, elbow or shoulder. Tendons become less flexible with age, therefore tendinopathies are more common as people get older. Tendinopathies are responsible for up to 30% of sports doctor consultations and other musculoskeletal health providers. This conditions is most often seen in tendons of athletes either before or after an injury, but is becoming more prevalent in non-athletes and sedentary populations. Among the risk factors associated with tendinopathies are the age, occupation, obesity and the practice of high impact sports or activities. Although tendinitis can be caused by a sudden injury, the condition is much more likely to stem from the repetition of a particular movement over time. Taking aspirin, naproxen sodium or ibuprofen may relieve discomfort associated with tendinitis. Topical creams with anti-inflammatory medication — popular in Europe and becoming increasingly available in the United States —also may be effective in relieving pain without the potential side effects of taking anti-inflammatory medications by mouth. Sometimes your doctor may inject a corticosteroid medication around a tendon to relieve tendinitis. Injections of cortisone reduce inflammation and can help ease pain. Corticosteroids are not recommended for chronic tendinitis (lasting over three months), as repeated injections may weaken a tendon and increase your risk of rupturing the tendon. PRP treatment involves taking a sample of your own blood and spinning the blood to separate out the platelets and healing factors. The solution is then re-injected into the area of chronic tendon irritation. PRP injection in the region of chronic tendon irritation has been shown to be beneficial for many chronic tendon conditions. Depending on the severity of your tendon injury, surgical repair may be needed, especially if the tendon has torn away from the bone. For chronic tendon inflammation, focused aspiration of scar tissue (FAST) is a minimally invasive treatment option using ultrasound guidance and very small instruments designed to remove tendon scar tissue without disturbing the surrounding healthy tendon tissue. FAST achieves the same goal as open surgery but is performed under local anesthesia in a nonsurgical setting. Most people return to normal activities within one to two months. Rest – Avoid activities that increase the pain or swelling. Don’t try to work or play through the pain. Rest is essential to tissue healing. But it doesn’t mean complete bed rest. You can do other activities and exercises that don’t stress the injured tendon. Swimming and water exercise may be well-tolerated. Ice – To decrease pain, muscle spasm and swelling, apply ice to the injured area for up to 20 minutes several times a day. Ice packs, ice massage or slush baths with ice and water all can help. For an ice massage, freeze a plastic foam cup full of water so that you can hold the cup while applying the ice directly to the skin. Compression – Because swelling can result in loss of motion in an injured joint, compress the area until the swelling has ceased. Wraps or compressive elastic bandages are best. Elevation – If tendinitis affects your knee, raise the affected leg above the level of your heart to reduce swelling. Platelet Rich Plasma (PRP) is a concentration of platelets derived from the patient’s own blood that is above the baseline level and contains several growth factors which stimulate healing. 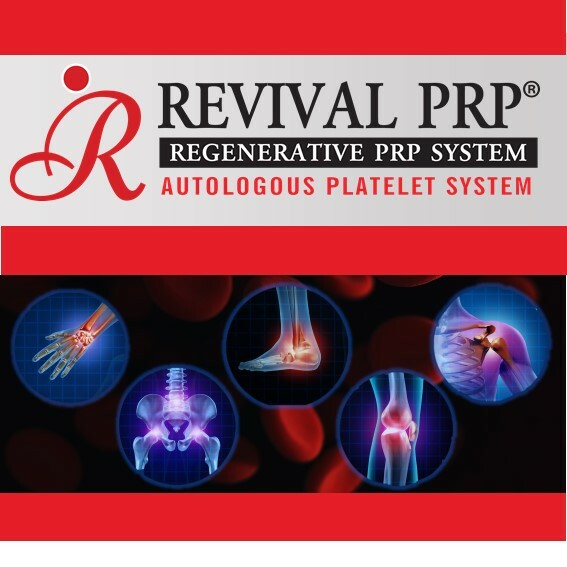 Platelets are the key components of PRP. They are small anuclear fragments of cytoplasm produced by megakaryocytes in the bone marrow. Platelets affect primary haemostasis, the innate immune response and inflammation, host defences against microorganisms, wound healing and malignancy. The most basic method to prepare PRP is through centrifugation. 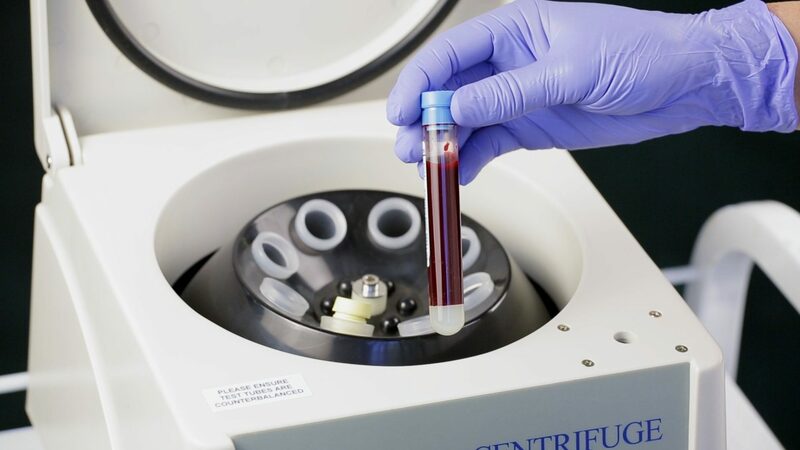 The patient’s blood is drawn and centrifuged at varying speeds until it is separated into 3 layers: Platelet Poor Plasma (PPP), Buffy Coat/Platelet Rich Plasma (PRP) and red blood cells. An effective PRP preparation should have a platelet concentration of 1.5-3 million platelets/µL. It is important to have both an appropriate concentration and the presence of intact platelets with functionality unchanged, so that growth factors are not delivered prior to application. It is also important that a PRP preparation should not contain any Red Blood Cells (RBCs) as this may affect the healing efficacy of the PRP. The platelets undergo degranulation to release Growth Factors (GFs) with healing properties. The plasma contains cytokines, thrombin, and other GFs with inherent biological and adhesive properties. Platelet content is also affected by the donor’s gender, with females having a higher concentration than males. GF content however, is not influenced by age or gender. GFs are released after exogenous or endogenous activation. PRP is commonly activated by calcium chloride, thrombin, chitosan and/or batroxobin. Calcium chloride and thrombin are the most common methods of PRP activation. Platelet Rich Plasma (PRP) is often used to treat a variety of chronic tendon, acute ligament and muscle injuries as well as other conditions such as arthritis and osteoporosis pain. Athletes of all competition levels are early adopters of novel treatment methods. They are driven to find less invasive methods of injury management and faster means of returning to their sports. PRP can also be used during surgery to augment healing for ACL reconstruction and rotator cuff repair. Connective tissues such as ligaments and tendons heal by filling in with scar tissue, which in turn, doesn’t support the pressure of large loads effectively and increases the risk of re-injury. Chronic tendon injuries are related to degeneration of the tendon tissue. Traditional forms of therapy do not necessarily improve the tendon’s ability to create new tissue and heal in the same way PRP does. Tiger Woods received PRP treatments for his Achilles tendon and both knees after a knee surgery to repair injury. PRP can be effective for many cases of osteoarthritis as repairing the damage has posed a great challenge due to its regenerative limitations. Platelets and other elements within the blood help tendons and ligaments heal by stimulating a repair and growth response that accelerates the process of developing new tissue. However, the tendons and ligaments do not receive a rich blood supply containing these factors which is why they often take a significant amount of time to heal. PRP stimulates healing of cartilage and reduces pain and disability by delivering these factors directly to the site of injury. Areas of treatment can include knee, hip, shoulder and ankle. With age, the cartilage lining the joints can shrink and wear thin causing friction between the bones. Bone spurs and inflammation can gradually enlarge the joint leading to the pain and dysfunction of arthritis. Damages to the cartilage have been treated by cortisone and HA injections, micro fracture, debridement and grafting procedures. The results obtained by these techniques are so far unsatisfactory and in most cases, result in the formation of fibrous connective tissue with minimal mechanical strength at the affected area. Not only does PRP stimulate cellular activity and the process of regeneration and repair, it also improves bone and cartilage recovery, as well as reduce inflammation and pain which could potentially inhibit the deteriorating effects of age and slow the progression of arthritis. The primary goal of PRP is to resolve pain through healing, therefore, it could prove to have lasting results. Initial improvement may be seen within a few weeks and gradually increase as healing progresses. Research studies and clinical practice have demonstrated PRP injections to be very effective at relieving pain and returning patients to their normal lives. Ultrasound and MRI imaging have both shown definitive tissue repair after PRP therapy thereby confirming the healing process. The need for surgery can also be greatly reduced by treating injured tissues before the damage progresses to an irreversible condition. PRP can be used to accelerate autologous grafts used for site preparations, sinus lifts, osteointegration, ridge augmentations, etc. An enhanced bone regeneration can be expected when PRP is used with mixtures of autologous bone and bone substitutes and with recombinant human growth factors such as recombinant BMP. PRP has also been shown to increase the quantity and quality of the host bone in areas of localized alveolar defects when used for guided bone regeneration. Early results are promising that PRP placed in the preparation site of a dental implant will promote and accelerate osteointegration. This may be beneficial in the maxilla, in areas of previous failures, in type IV bone, in osteoporotic women, etc. Relieves coarse pores, pigmentation, and erythema caused by laser therapy. Other clinical studies have demonstrated that PRP induces the proliferation of new fibroblasts within the first few hours. PRP treatment resulted in notable increased rates of fibroblast migration and also induces the synthesis of collagen fibres that are of higher density and quality. Platelet rich plasma contains the bioactive proteins which act as the catalyst for accelerating the wound healing process. With the increased level of growth factors present in PRP, the tissue maturation phase is accelerated and the overall healing process is significantly improved in terms of post-operative pain, swelling, infection and establishment of tissue texture, colour and contour. PRP’s cohesive nature and its hemostatic properties also allow for minimal bleeding. Application of PRP yielded adequate hemostasis if PPP was also applied to create a seal to halt bleeding, because PPP contains much higher amounts of fibrinogen. Growth factors found in PRP permit accelerated tissue regeneration. 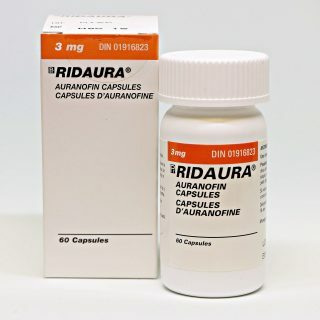 It can be used to treat corneal lesions and dystrophy, superficial punctuate keratitis, severe dry eye-related ocular surface disorders, ocular GvHD, recurrent erosion syndrome, neurotrophic keratopathy, keratopathy with loss of epithelial-stromal tissue resulting from chemical or physical traumas, sicca syndrome and/or Sjögren’s syndrome. It also provides nutritional factors necessary to maintain cellular feasibility in the epithelial repair process while reducing the risk of contamination and infection. Kon and colleagues in 2010 explored this novel approach to treat degenerative lesions of articular cartilage by treating 100 consecutive patients, affected by chronic degenerative condition of the knee, with PRP intra-articular injections. Patients were evaluated before and at the end of the treatment, and at 6 and 12-month follow-up. A statistically significant improvement of all clinical scores was obtained from the basal evaluation to the end of the therapy and at 6–12 months follow-up. The preliminary results of the study are encouraging and indicate that treatment with PRP intra-articular injections is safe, and may be useful for the treatment of early degenerative articular pathology of the knee, aiming to reduce pain and improve knee function and quality of life. PRP has also been used in the Sports Medicine field with incredible results. Bittencourt and colleagues in 2014 published their findings based on the treatment of 203 patients with various tendinopathies (38 epicondylitis, 45 Achilles tendonitis, 25 patellar tendonitis, 12 hamstring origin (ischial tuberosity) tendonitis, 8 plantar fasciitis, 8 flexor carpi ulnarii tendonitis, 7 pes anserinus tendonitis, 4 biceps femoris tendonitis, 3 iliopsoas tendonitis, 6 athletic pubalgias and 6 biceps brachii tendonitis) all refractory to conservative therapies. They treated these patients with local PRP infiltration, in suitable surgical environment under local anaesthesia. Overall, the patients showed significant improvements with a success ratio greater than 75%, concluding that PRP proved to be most efficient in the treatment of tendon injuries that normally pose problems. We offer a free service to patients which allows them to find a local doctor. These series of questions will enable you have an informed discussion with your doctor and can serve as a benchmark in monitoring the progress of your condition. You should select the joint affected and fill the form with your answers. Please print and keep your results, this information may be useful in your doctor appointment. The OA Management Club will support you with in your journey with OA. You will also benefit from our Reminder System for your next appointment. Five (5) months after your initial registration and injection, we will invite you to do a self-assessment again to check your progress. We will share these results with you and your doctor. Your doctor can check if your condition is improving and can provide you with recommendations to improve the management of your osteoarthritis. Alternatively you can click here to print the OA Management Club form and take it to your next appointment to be completed by your doctor. If you have not already taken your Self-assessment, we strongly suggest you take the assessment and register to become a member of “OA Management Club”. Ask your doctor about the OA Management Club. OA Management Club is offered by Xediton Pharmaceuticals to help patients with the management of their osteoarthritis of the knee, hip and/or shoulder. Patients registered in the club will receive services and educational materials regarding Osteoarthritis and they will have the opportunity to share with their doctors the most recent information regarding the progress of their Osteoarthritis. This service is free of charge. Personal Information: We understand and respect your need for privacy. Any personal information provided as part of the OA Management Club will not be shared except as required by law. Your Personal Information will only be shared with your physician for the purposes of the club membership. You can request to be removed from our list at any time without reason by contacting us at 1-905-286-9111 or email customerservice@xediton.com. Once you unsubscribe, you will not receive the benefits of the Club. How Much Do You Know About Osteoarthritis? By clicking submit, you authorize Xediton Pharmaceuticals to send you information about Revival PRP, articles related to osteoarthritis and tendinopathy and information regarding pain and treatment options. You can unsubscribe at any time. Platelet Rich Plasma (PRP) is a concentration of platelets from the patient’s own blood and contains several growth factors which stimulate healing. 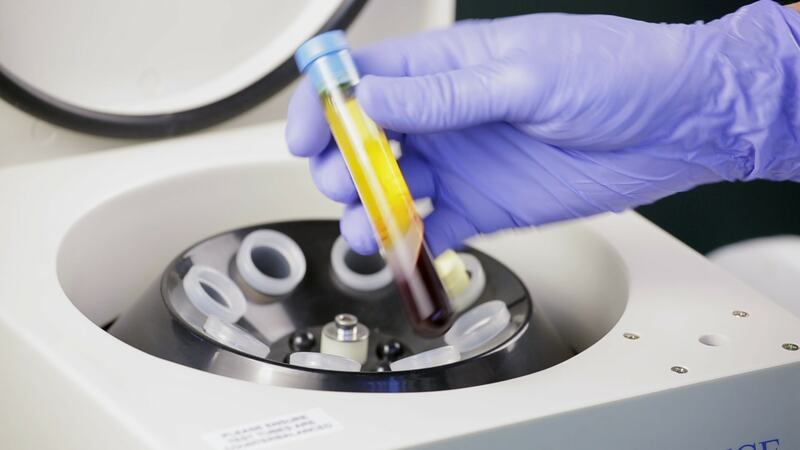 In PRP treatment, the patient’s blood is drawn and centrifuged to separate and concentrate the platelets and growth factors that are essential for tissue healing. PRP is the injected directly into the injured area causing the platelets and growth factors to become activated. There is also recruitment of other healing proteins and factors to the area causing the healing and regeneration of tissue to begin. 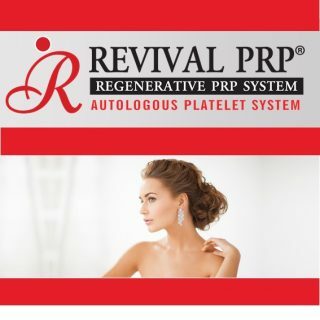 Some advantages of PRP include an increase in collagen production, elimination of donor transmissible disease, its non-allergenic properties, and tissue regeneration and rejuvenation. Patients who are undergoing chemotherapy, have sepsis, acute and chronic infections, chronic pathological conditions of the liver, bleeding disorders, low platelet count (anemia), cerebral palsy or Parkinson’s disease or patients undergoing anticoagulation therapy are not advised to have PRP therapy. What are the adverse effects of PRP? What are some considerations before engaging in PRP treatment? Certain factors such as smoking and alcohol consumption diminish stem cell release, therefore avoiding these factors will increase the success of the procedure. Also, avoiding anti-inflammatory drugs, as platelets work by causing an inflammatory reaction. If this reaction is diminished, the clinical outcome is significantly compromised. Therefore, the use of anti-inflammatory drugs after the procedure is not recommended. Yes, there is minimal risk involved because the treatment uses the patient’s own blood plasma and platelets. This eliminates the risk for disease transmission and immune system rejection. Patients with moderate injuries, patients who have failed conservative treatments (i.e. medication, physical therapy, etc). A doctor will conduct a review of your medical records to determine is PRP therapy is the appropriate solution for you. How long does PRP therapy take to work? Depending on injury and severity, most patients see improvement in 2-6 weeks. Acute muscle strains and tears, chronic tendinopathies (i.e. tennis elbow, Achilles tendon, etc. ), ligament injuries and osteoarthritis. PRP is also widely used in the fields of dentistry, cosmetic surgery, esthetics, dermatology, general surgery, chronic wound treatment and ophthalmology. It is used to correct the effects of skin aging, hair loss and promote tissue regeneration as well as many other problematic areas. PRP injections offer an alternative to surgery and are an ideal choice for patients who prefer a less invasive option or those who are unable to undergo a surgery. It also allows for a much quicker recovery period and is much less painful than a surgery. There is a possibility of soreness after the injection due to PRP induced inflammatory response. However, swelling and soreness during the first 48 hours after the injection is expected. Pain medication is usually given to help with the discomfort experienced. 1-3 treatments are usually the average depending on the degree of injury, length of injury and the procedure being performed. Cortisone or steroid injections provide temporary relief from pain and inflammation, but may not provide long term healing. Studies have shown that long-term cortisone injections may actually weaken tissue. The healing and growth factors present in PRP heal and strengthen damaged tendons and ligaments. How much blood is drawn from the patient? Depending on the injury and the procedure being performed, 30-60 mL (1-2 ounces) is drawn with a simple blood draw. The blood is then processed in the lab to produce PRP. This takes about 30 minutes and then the platelets are collected in a syringe leaving 3-7cc to be injected at the required site. Patients do not need to fast if only receiving PRP. They are however, encouraged to hydrate as the fluid helps fill the blood vessels making the blood draw much easier. PRP treatment offers no instant pain relief, but regenerates healthy tissue which takes a few weeks. Most patients can return to work the next day unless they experience a post-injection flare. Return to athletic activity depends on the type and site of injury. Most chronic tendon injuries that have failed to respond to any other type of treatment will generally take quite a few weeks to heal. Injections into joints and acute muscle injuries respond quicker. 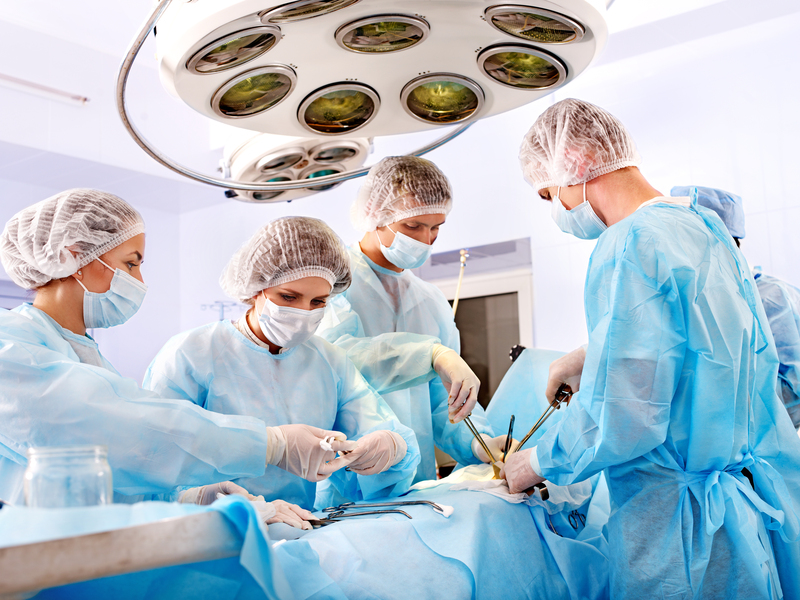 The procedure takes approximately 1-2 hours, including preparation and recovery time. Some patients report swelling and stiffness or mild to moderate discomfort lasting a few hours after the injection. This is a normal response and is a sign that the treatment is working. You may ice the area for 20 minutes every 2-3 hours for the first 24-48 hours after the procedure. On the day of the procedure and the day after, limit the activity related to the injection site. Necessary activities of daily living are permissible but refrain from engaging in any deliberate exercise, such as running, weight training or other sport-related activities. It is expected that it will take up to 6-8 weeks to adequately assess your response to the therapy. How much does the PRP treatment cost? The cost of treatment depends heavily on a variety of factors such as the type of procedure, condition being treated and number of injections administered/required.